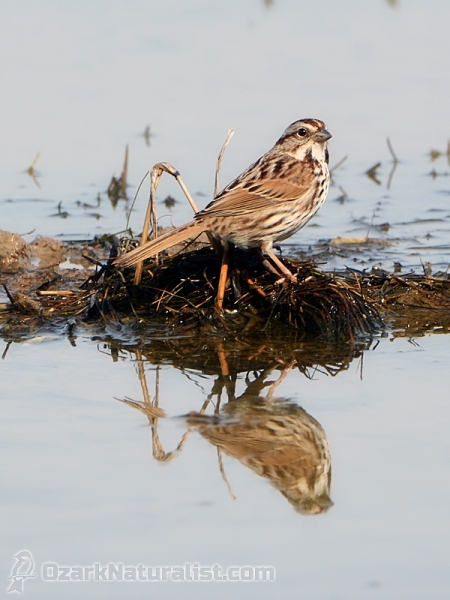 A Song Sparrow tries to keep his toes dry, Pool 29, Otter Slough Conservation Area. I didn’t notice the reflection while taking the photo, only once I saw it on the computer screen. I love happy accidents.